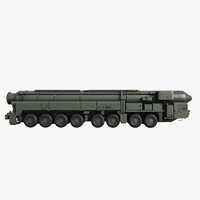 This Topol-M model is a part of Plesetsk collection. 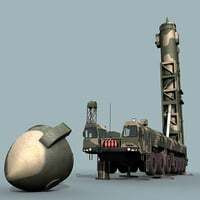 Topol-M (NATO reporting name: SS-27 Sickle B, other designations: RS-12M1, RS-12M2, RT-2PM2) is one of the most recent intercontinental ballistic missiles to be deployed by Russia, and the first to be developed after the dissolution of the Soviet Union. 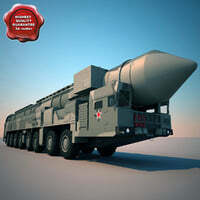 Topol-M is designed and produced exclusively by the Moscow Institute of Thermal Technology, and built at the Votkinsk Machine Building Plant. 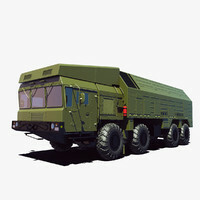 This Topol-M model is optimized for the medium resolution render (medium shots). Geometry of the model is optimized. 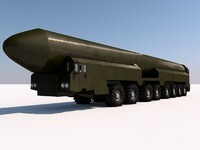 Rendered in Vray. 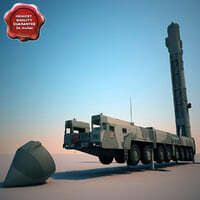 VRay & standart versions.